Inspiration is everywhere and sometimes you’re lucky enough to find it right next door! You’re in for a treat today because I convinced my friend Julie, who has the most wonderful cottage I’ve ever seen, to let me photograph her house. It’s a magical place and full of inspiration everywhere you turn. It was a God-send that we moved next door to her after the fire. She is an amazing mom and person. She is unbelievably kind and such a servant of others, she reads Chesterton, Lewis, and Tozer and has raised bright, inquisitive and well mannered children. 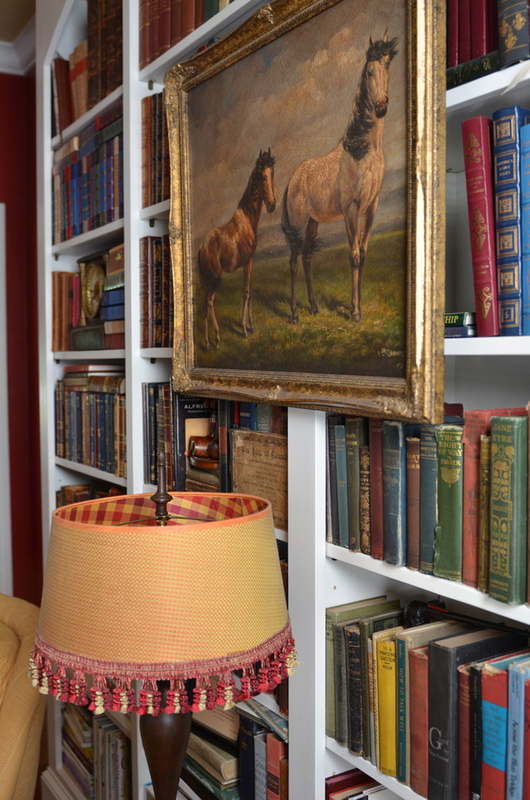 She bakes and loves design and had nearly every single copy of Cottage Living. Instant friends, I tell you! 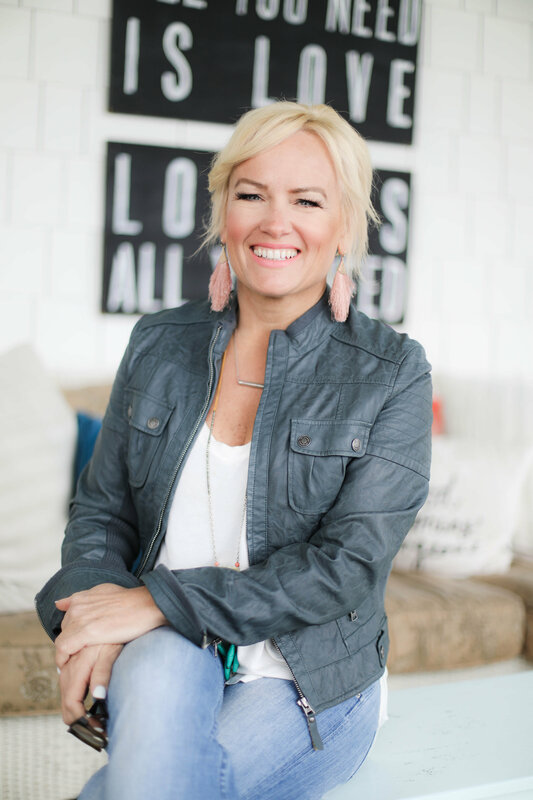 She has created such a cozy haven for her family and I don’t exaggerate when I say that it’s one of those spaces that changes you and how you look at homemaking. I’d give anything if Lucille Maud Montgomery (author of Green Gables) could describe it for you. I can tell you that nothing I say and none of my pictures will do it justice. When I walked in today with my camera, it was the essence of fall—-maple candles burning, the lingering scent of pipe tobacco and crackling wood—-all drawing you into it’s enchantment. Thank you Julie for letting us peak! 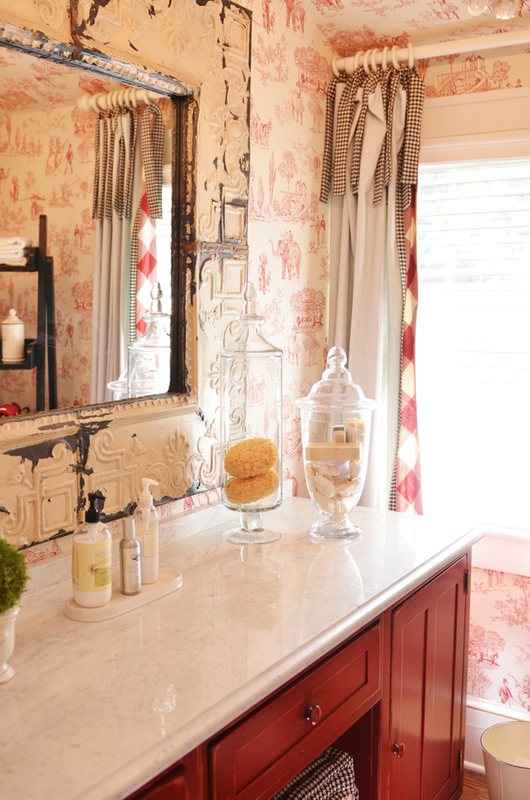 the other side of the red door……..
the dining room and the inspiration for my round dining table purchase…..
and the very quaint master bath—note the details in the shower curtain, the cabinetry and the carrera marble countertop! i love it all! 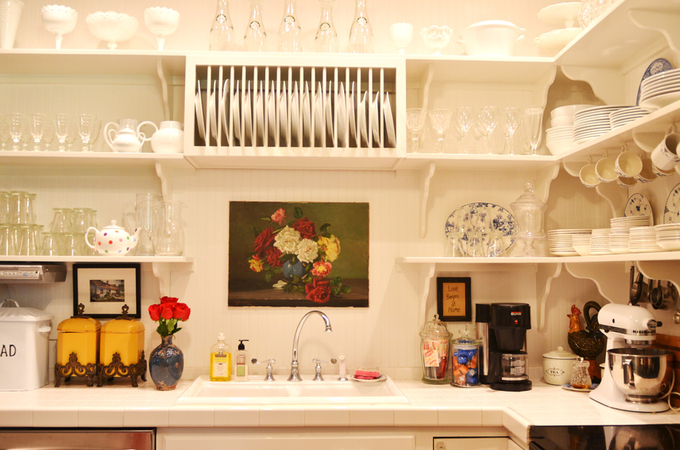 i’m completely smitten with the kitchen—all open upper shelves—-i swoon! and the most adorable vanity EVER! 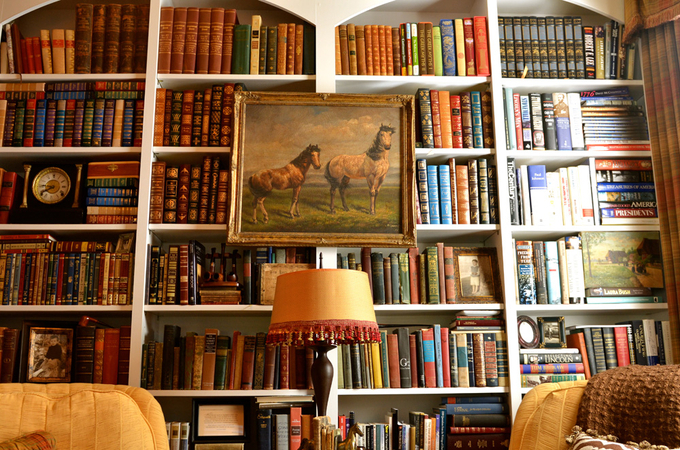 and last but not least, my favorite room, and perhaps the smallest and coziest in the house—-the library. i could live in there. forever. and read and read and read and read. the wall opposite the bookshelves…. and just one more because I really couldn’t stop taking pictures…. and that my friends is one of the most inspiring spaces I’ve ever been lucky enough to visit. She should be in magazines. Maybe I could convince her to start a blog! Gorgeous!! I especially love the bathrooms and all the floral paintings. So pretty! Hi Edie, I am in a new house as well. We moved in officially on Sept 9 my 40th birthday! What a journey , it took us 6 months to close and and 6 months to renovate. We are so thrilled and feeling a bit unworthy , but know in our hearts that this is right , this is home, this is where we belong to live out our days and really get down to family. I am in the process of decorating, my kitchen is fabulous, vintage modern cottage chic. Now I need to add the details to the living room, I am finding it cold , I love the colors I chose the floors are divine I just need to add elements that will connect it all and draw people in. I remember reading one of my favorite House Beautiful mags and reread the article “What makes a room great” one comment rang true in my mind, I can’t remember the designer, but he said, before anything goes into the room , one should decide upon the function, the essence of the room and what its purpose is, then start your design from there. Beautiful! Definitely magazine and blog worthy! I’d move in there tomorrow. Thanks for convincing her to share it! Now you just need to talk her into blogging …. Just beautiful! How gracious of her to let us have a peek, thank you so much for sharing. Please talk her in to starting a blog. I LOVE Julie’s home! It IS inspiring for sure! Connie’s Home is gorgeous too! 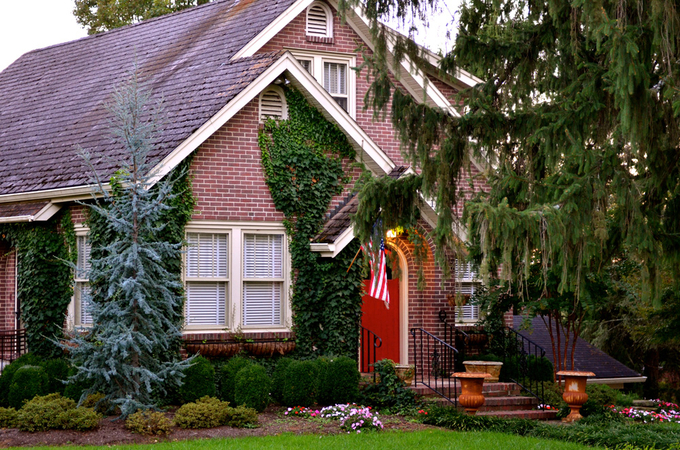 LOVE cozy cottage style homes. Her perfect use of bold checks and a few dots makes me sigh a contented smile. Large, buffalo check makes my heart flutter. Gorgeous. I love the circus wallpaper in the bathroom! How could you help but be inspired? 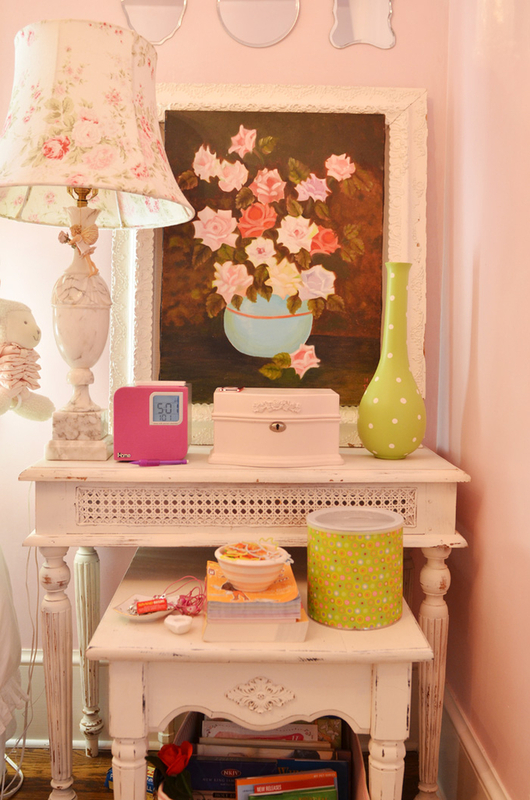 Everything in that house is darling! I need to go scour eBay for some vintage oil paintings now! 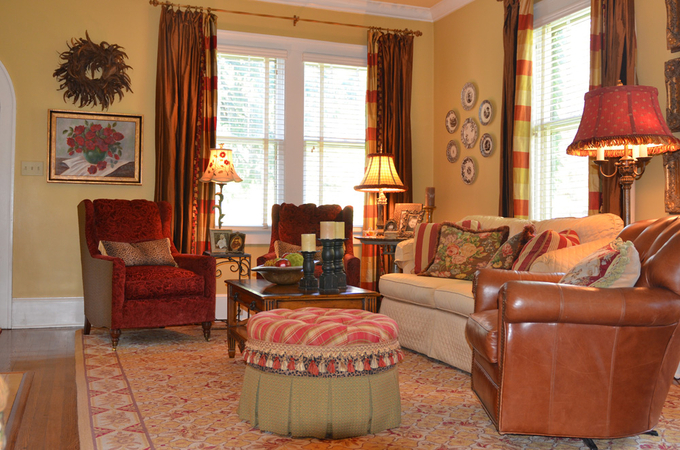 Thanks for sharing these pictures, Edie, and I can’t wait to see more of your new digs! 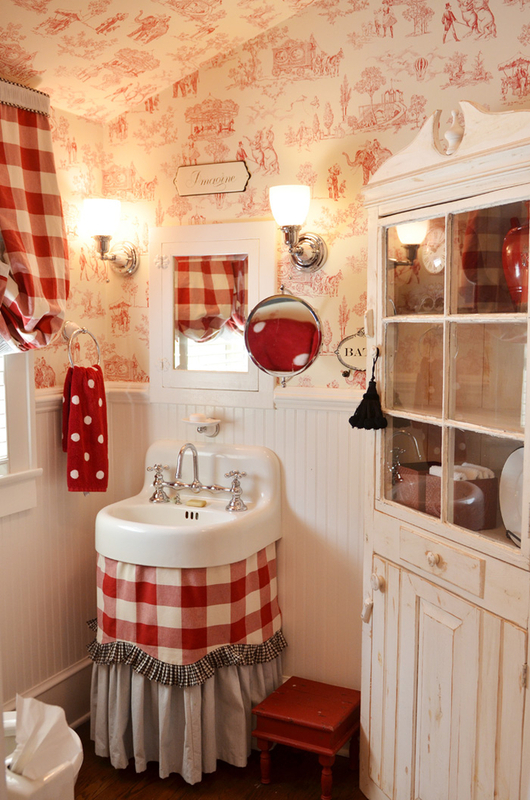 Hands down the bathroom has me swooning!I love it! Totally Bananas! Each photo seemed to build on the one before and then…in all of its glory…. The Library! I’m in total love over here – and my eyes immediately found David McCullough – she hearts David Mac!! I could live in that room and be happy forever. 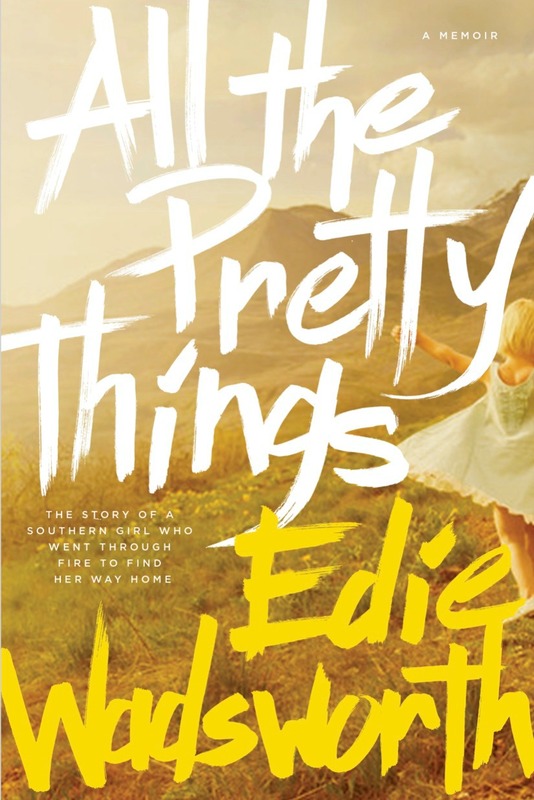 Thank you for sharing, Edie! You are right. what a beautiful house! Stylish but extremely livable. That is a beautiful home. I think that may be the home that caught my eye last year at Mountain Makings. Is it in downtown Morristown? It is beautiful. 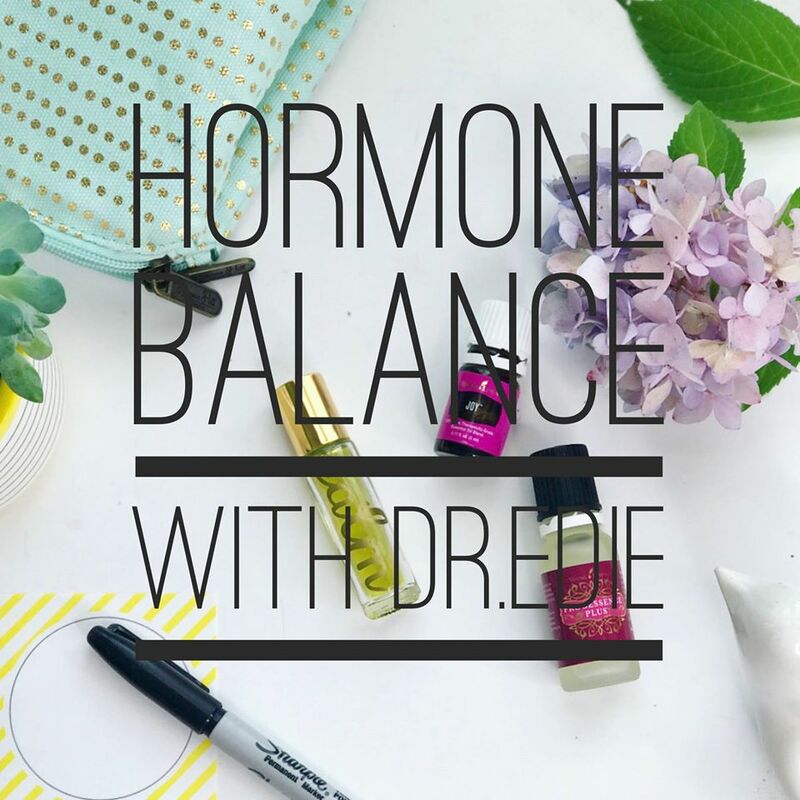 Her home is just lovely and filled with amazing inspiration. My favorite is the library. 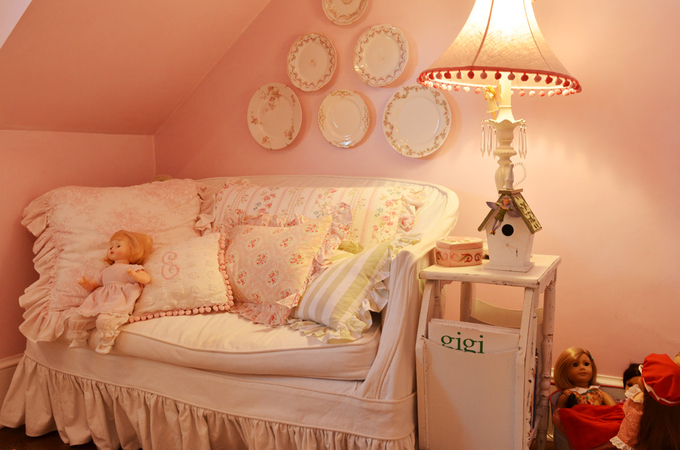 It is my dream to someday have a room like that. I am also in love. 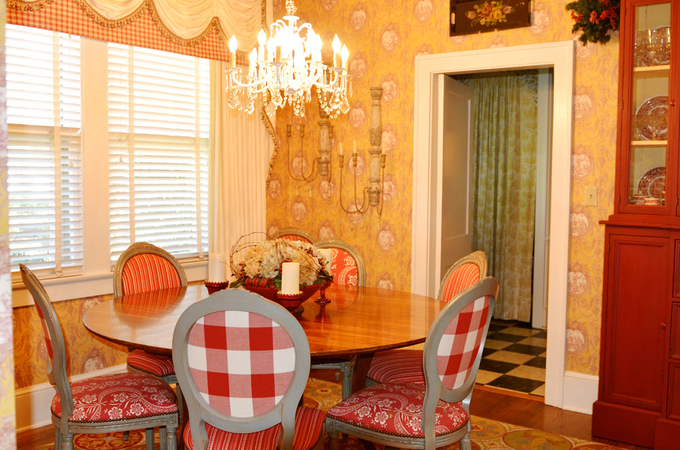 With the dining room chandelier and the mirror in her daughter’s bathroom. Makes me swoon. LOVE it – everything! 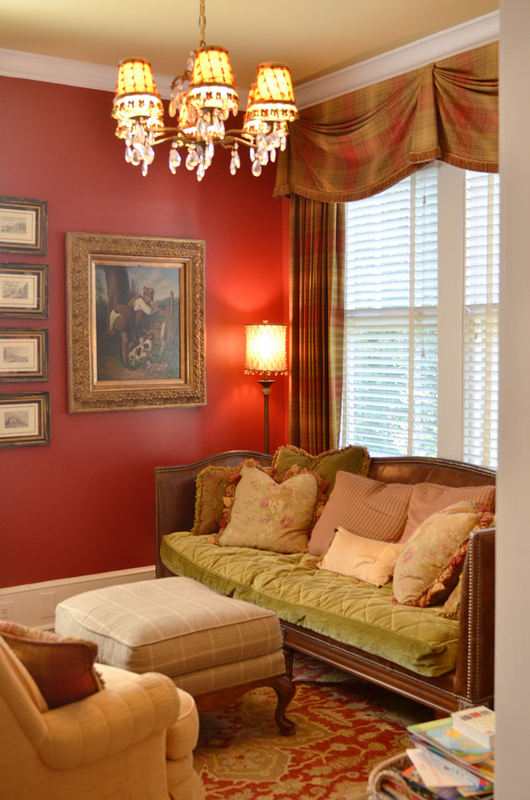 And love that the same color scheme (my favorite colors) are carried throughout the home. Love! Beautiful, almost more than I can stand:) I am in a James MacDonald Bible study called Lord, Change My Attitude…this week studying coveting…need I say more? Thanks for sharing this inspirational home! Gorgeous. Cozy. Lively. Comforting. Thanks for sharing all of this… I am instantly inspired to sew up a layered sink skirt, and I sure would like to see something about her gardens! Well done. Thank you! Especially love those open shelves. 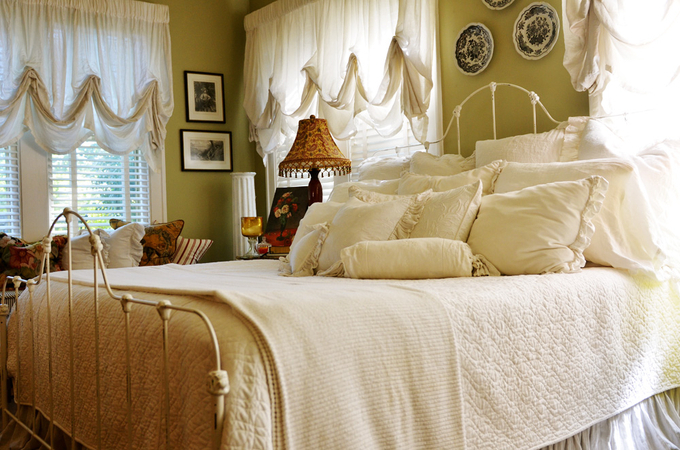 Take a mini vacation and refresh your soul and heart with the beauty of Julie’s cottage!! And maybe even get some inspiration!!! Is your friend interested in adoption? Because I would be willing to take on a second set of parents if it meant I got to stay in that gorgeous house every now and then. Just sayin’. Great place to have tea and conversation. I’m envious. oh my goodness. 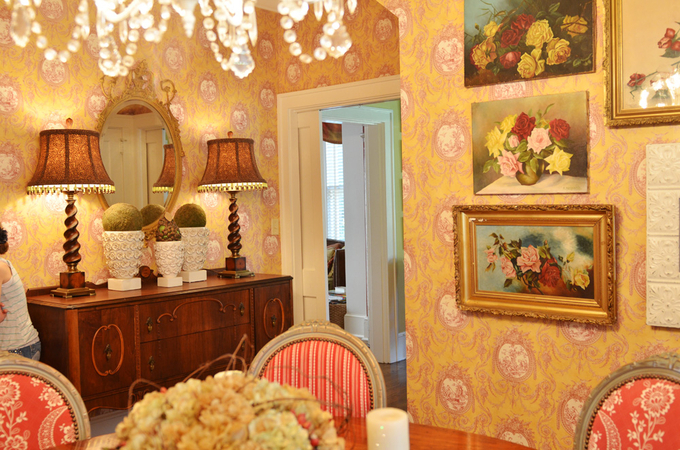 I love her house…every room has all the right details added…LOVE the black piece in her dining room! Thanks for sharing her home with us…. Thank you for showing us her home!!! It’s gorgeous and has sooo much charm!!! Stunning!!!! thanks for posting these lovely pics of your neighbor’s house! love all the eye candy! i’ve been in a house funk and this just kickstarted my creative juices. i totally rearranged my living room and busted out all my fall decor. i’m so happy with the changes. Just charming!!! I heart her front door! Red and round!!! The play on texture is so interesting and I’ll go ahead and say PERFECT! Oh my what a gorgeous home! So many ideas I would love to incorporate. Thank you so much for sharing with us. What a happy home!!! I too am inspired!! I love the french style. Beautiful house! I have a favor. Do you happen to do what kind of doll is sitting on her daughter’s bed? Is it a Madame Alexander? I have been looking for a vintage doll for my child for so long now. Wow! Love her place!! Thanks for sharing. 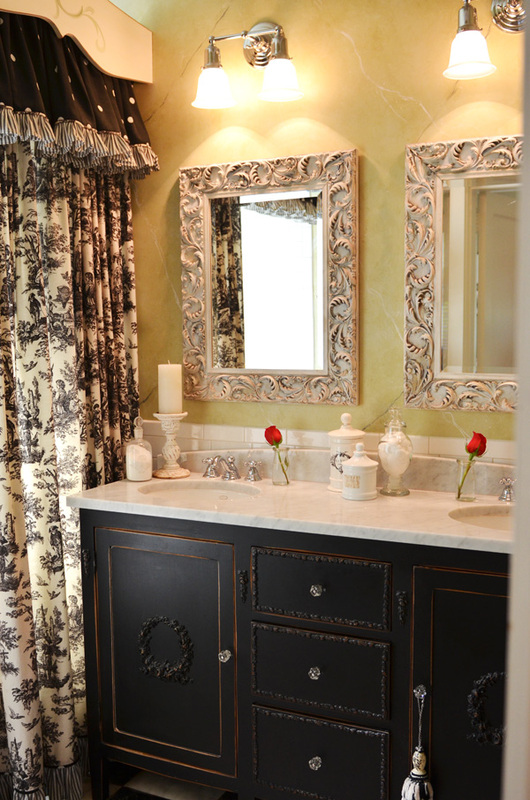 I’m curious-what kind of floor does she have in the bathroom with the black vanity? Thank you for your time. Ohmy . LOOOVE her home! Your home is beautiful. i only wish I could have that kind of home…. Unfortunately my husband is a bull in a china shop. 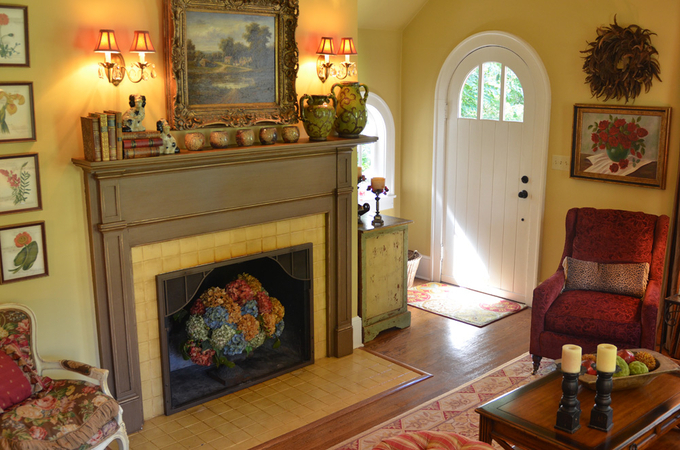 I try to find a middle ground of a cross between french country and farmhouse. We live in the country so a beautiful home like your’s doesn’t quite fit. Thank you for sharing your home with us.